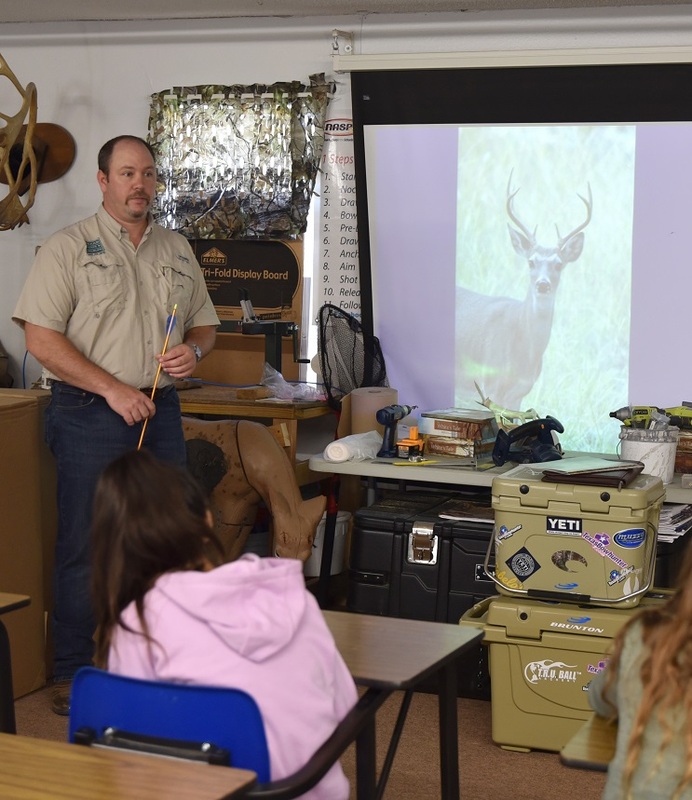 Texas Parks and Wildlife Game Biologist Ragan White points out what is legal and not when it comes to hunting deer in Texas to the Outdoor Education class at Stone Middle School. The eighth-grade students enrolled in this class will learn such outdoor skills as camping, outdoor cooking, angling, hunting, archery, and boating. To get an overall look at all the outdoor activities, instructor David Pasternak recently took the class to Cabela’s.